Campbell’s, Winter Whites- What Is The Difference? Campbell’s, Winter Whites & Russian Dwarf Hamsters… What are they and what is the difference? Many people do not know the difference between these types of dwarf hamsters so, we thought we would do a short post about it to help explain the difference between Russian, Campbell’s and Winter Whites dwarf hamsters. What is a Campbell’s Dwarf Hamster? Notice The Dorsal Stripe On Its Back? How to tell the difference – Campbell’s generally have a narrow stripe (dark) down their back and have smaller ears than a Winter White. What is a Winter White? Winter White dwarf hamsters are very similar to Campbell’s however do have a special trick within the wild, in fact it says it in the name. Being a prey animal within the wild, it needs an effective camouflage within the snow from overhead predators. In the winter months the Winter Whites fur changes colour to almost completely white (depending on the individual) to help them blend in. Not all Winter Whites change completely and some just have patches change. Within the summer months their fur will darken. What is the visual difference – Winter Whites (proper name is Djungarian hamster or Siberian Hamster (Phodopus sungorus) has furry feet and the stripe on their back is thicker and more grey. They sometimes have bigger ears too. What is a Russian Dwarf Hamster? The term “Russian dwarf hamster” is a broad name for Campbell’s, Winter Whites and Hybrids (Camps & Whites bred together). However Russian dwarf hamsters that you can buy in pet stores around the world are hybrids. Unfortunately Russian dwarf hamsters are prone to diabetes but this shouldn’t put you off them as they are adorable creatures and great pets to have. Russians come in all shapes and sizes and colors can vary. If you want a pure Campbell or WinterWhite then finding a local breeder in your area will be your best option. 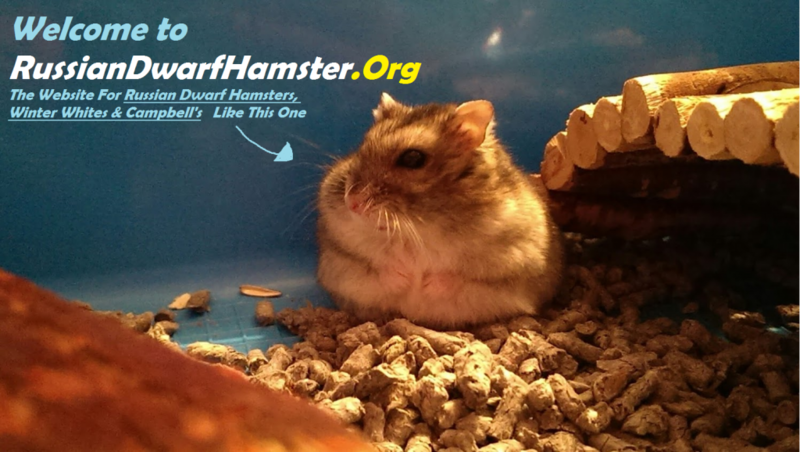 For our FULL Guide on this type of hamsters see Click Here. All of the types above are dwarf hamsters and are roughly half the size of Syrian hamsters. Should I Get One Or Two? Can Russian Dwarf Hamsters Live Together? The question that goes through many minds when buying Russian dwarf hamsters is Can Russian Dwarf Hamsters Live Together or should I buy one or two? Dwarf hamsters are one of the only types of hamster that can live together in pairs or sometimes groups. Syrian hamsters or Golden hamsters as they are more commonly known, cannot live with a partner. Russian dwarf hamsters can live together with a companion however there is a good chance that they will not get along when they mature. We have had our two Russian hamsters for just over a year now and they started fighting and squeaking more than often within a couple of days. 1. From the same litter – This means that they both need to come from the same mother (brothers & sisters) and preferably at the same time of birth. If they are brought up together, they are more likely to get along. 2. Space – Giving them plenty of room will help prevent fighting in the future and bullying behaviour. Floor space for two dwarf hamsters should be at least 80x80x60 but bigger is better. Also it is advised to not have floors within their environment as one can become dominate of a floor causing fighting. 3. 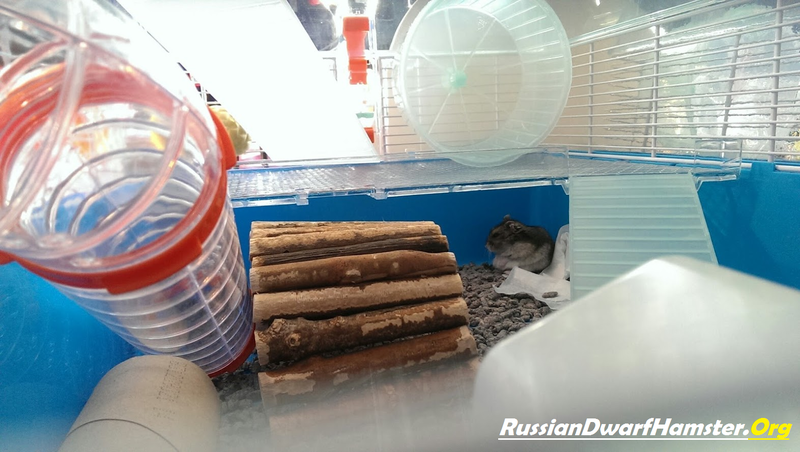 Individual essentials – It is a good idea to purchase separate food bowls, wheels and extra accessories when keeping two Russian dwarf hamsters together. This again prevents dominance over certain accessories and allows space between the two when needed. Many people say males get along better than females. From my own experience, I have found that females get a long more peacefully and do not play fight as much. Males become territorial when they grow to 4 months + of age. This normally results in fighting, injuries and problems. Can a Russian Dwarf Hamster Live with Another Type of Hamster? Keeping dwarf hamsters with their kind has a far less chance of serious injury than with other breeds. Normal behaviour for dwarf hamsters is similar to other hamsters. If one is smaller than the other, it may get bullied due to its size. Although they are known for being sociable, they can become worse enemies very quickly. It is always advised to keep a spare cage/tank available just in case. Squeaking is common when play fighting and should not be looked at as a bad thing all the time. If fighting is becoming more common and squeaking is not happening then it may be time to split them up. Sleeping next to each other is also common. Understanding the difference between fighting & playing around can be hard if you do not know what to look for. Not sleeping next to each other – This is an easy way to tell if your hamsters have decided to become independent from one another. The may also be fighting at this point. Aggressive towards each other – Observing your hamsters is a great way to understand their behaviour. If one is showing signs of quick fast aggression and biting. It may be time to separate them. Standing on their back legs – to become bigger when one comes near them or when fighting. If you are experiencing this, check out our Russian Dwarf Hamster Fighting Page for some advice, tips & help. Keeping Two Russian Dwarf Hamsters Together – Good Idea or Bad? If you are still deciding whether to get one or two, read Should I Get One or Two Dwarf Hamsters. 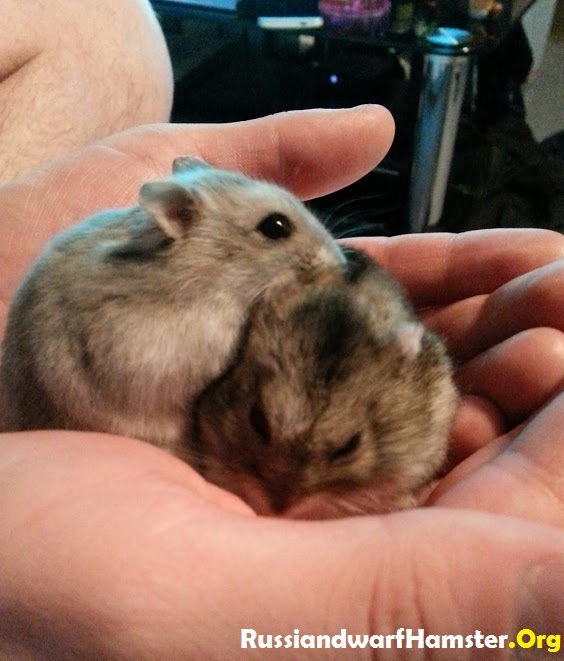 These types of hamsters are known to be sociable but although many pet stores suggest keeping two together because they will be happier, this is not always true. A hamster that lives with a companion will be just as happy as an individual living on its own. We recommend keeping hamsters on their own in their own cage. This prevents any future problems, extra expenses on cages and accessories. We also recommend you click here and see our additional page on deciding whether to get one or two if you are considering getting two. Are Russian Dwarf Hamsters Nocturnal? Yes..
Russian dwarf hamsters are great pets to have and are entertaining to watch, play with and handle. Today’s question is Are Russian Dwarf Hamsters Nocturnal? For many years hamsters have lived within human household. All dwarf hamsters wake up at different times but are known to be nocturnal. So your answer is yes, Russian dwarf hamsters are nocturnal. Although they sleep within the day, they will wake up within the day to get food or water. This is normally every 2-4 hours. Pure Winter whites are known to be more active in the day than Campbell’s dwarf hamsters. If you’re wondering what is the difference is between Russian hamsters, Campbell’s and Winter Whites then click here. Around 9pm + they will wake up and start coming to life. Depending on how much energy they use they could still be up at around 10am in the morning. Every hamster is different. 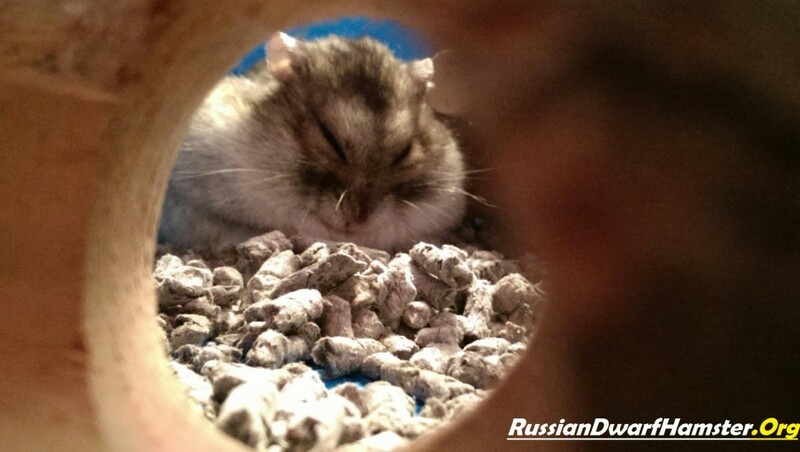 Why Are Russian Dwarf Hamsters Nocturnal? In the wild, dwarf hamsters awaken at night to avoid predators. Being almost blind, they use their sense of smell to travel around, find food and navigate in the darkness. Being nocturnal is crucial for their survival. Do You Own A Russian Dwarf Hamster? 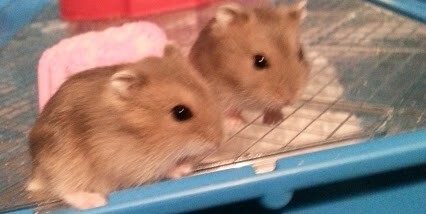 If you own Campbell’s, Winter Whites or Russian dwarf hamsters, see how RussianDwarfHamster.Org can help you. See our top bar for guides, product reviews and how to’s. Have you Seen Our Video Review of Carefresh? Click Here to see our Hamsters Review. Is Carefresh Bedding Good for Hamsters – A Horrible Mistake. Russian Dwarf Hamster Pictures Gallery – Uploaded Yours? 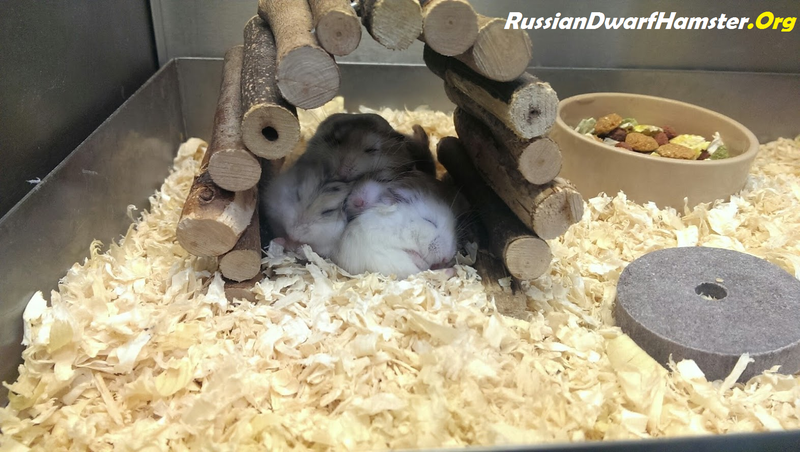 Russian Dwarf Hamster Sexing – Male or Female? Russian Dwarf Hamsters Fighting – How To STOP Them! Still Got Questions? Get the full guide today.